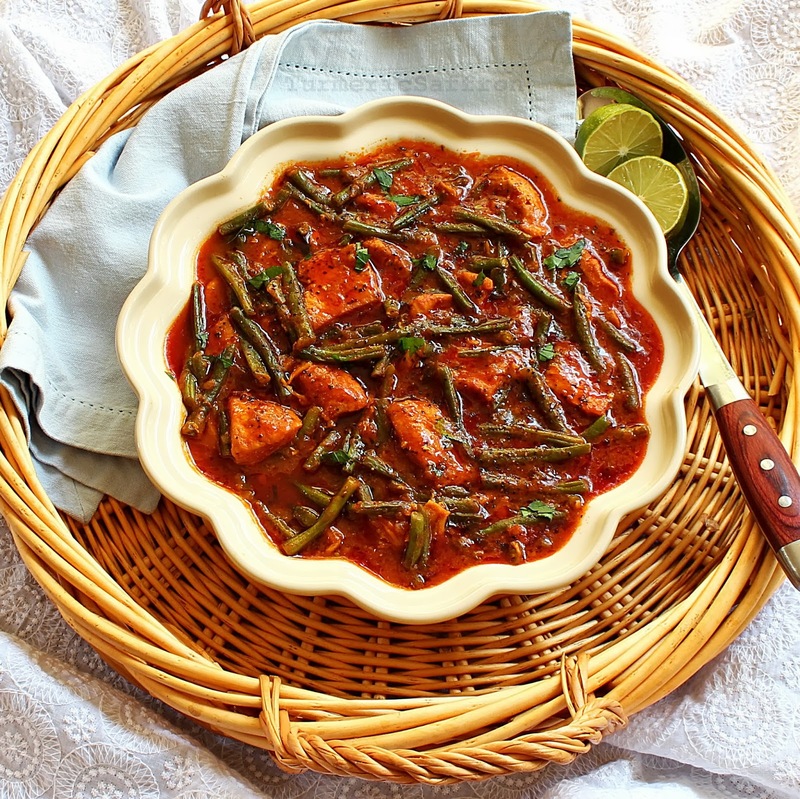 خورش لوبیا سبز - Khoresh-e loobia sabz is a delicious stew cooked slowly in layers of sautéed onion, garlic, chicken breasts, tender green beans, spices and freshly-squeezed lime juice in a tomato sauce served over saffron rice. 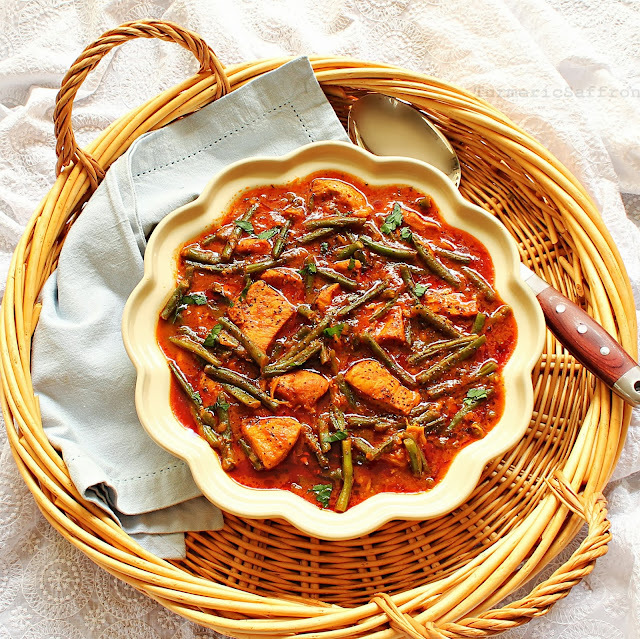 Green bean stew is one of my all-time favorite summer recipes and I was planning to blog about it early in the summer but I simply did not get around to it till now. 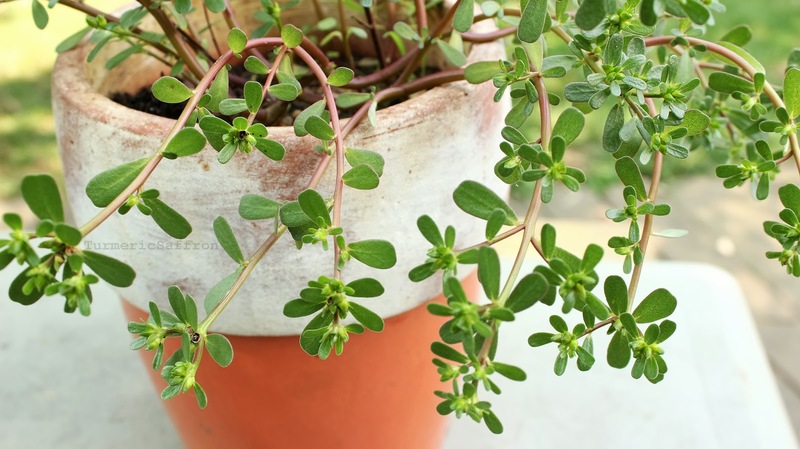 However, it makes a great end of the summer meal that is light, nutritious and tasty. 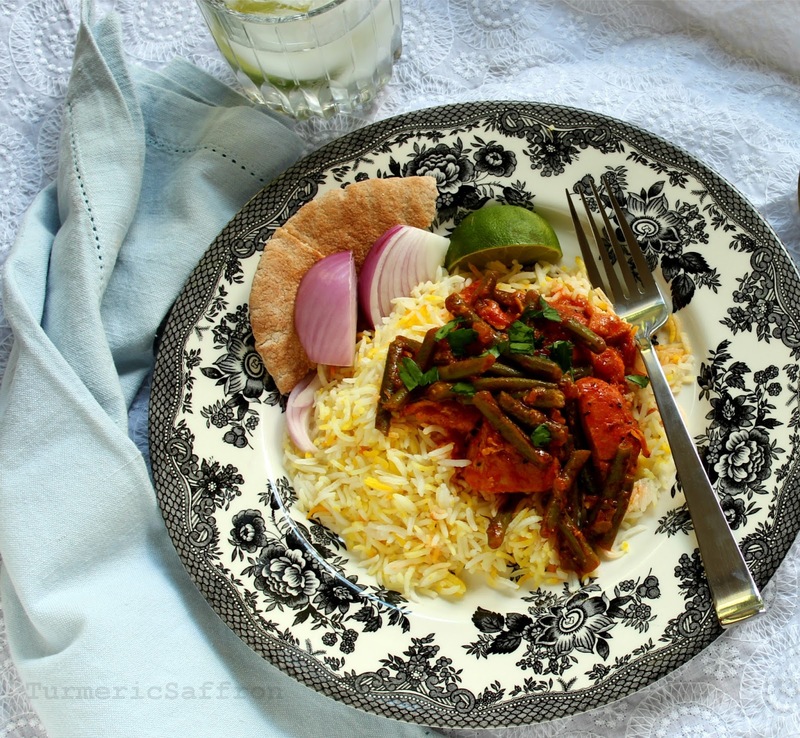 The traditional Persian khoresh-e loobia sabz is usually made with lamb. You can substitute the chicken with lamb or beef cubes if you like. And for the vegetarians, just skip the meat part altogether. The vegetarian green bean stew is equally delicious. There are many different varieties of green beans. 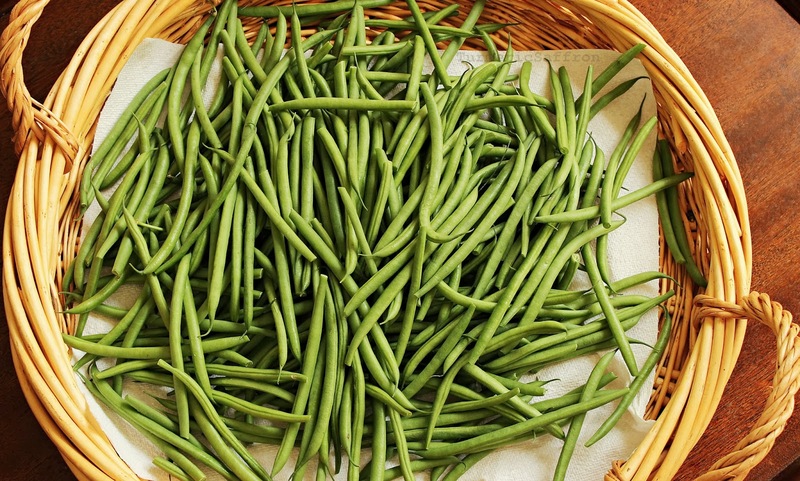 I like the slender and flavorful French green beans that are string-less and all you have to do is cut or snap off the ends. 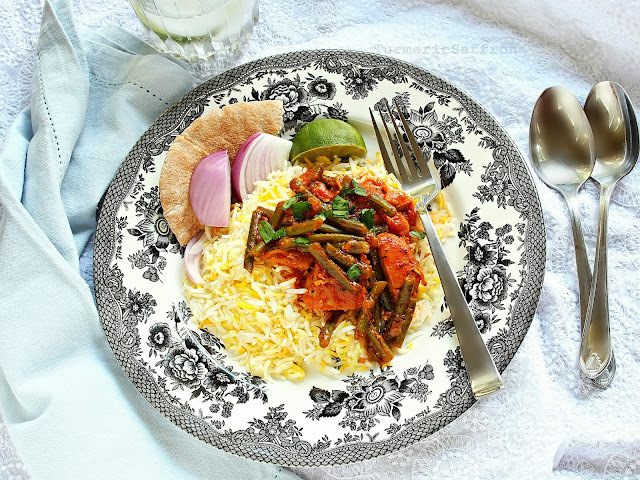 For those who would prefer using both a spoon and a fork, as is customary in Iran, then I would cut the beans into smaller bite-size pieces to make it easier to scoop up some fluffy rice along with the tender chicken and green beans. On a different note, in collaboration with the lovely and talented Sanam joon, the author of My Persian Kitchen, we have decided to come together and address the unauthorized use of copyrighted materials from our blogs which has affected us both repeatedly throughout the years. It's very disappointing and disheartening to see our recipes and photos across Facebook fan pages, on the menu of some catering chef's restaurant in California, used to sell Etsy products, or on an Instagram page that has used many of my photos to promote Persian food. I have been trying to deal with this ongoing problem by contacting each of these people. However, it is quite time consuming and unfortunately not everyone is kind enough to respond or act in a cooperative manner. I love sharing my recipes for everyone to use and to share with others as well. I love to inspire others to cook as I have been inspired by my mother and am continually inspired each day by so many talented food bloggers out there. The concept of the intellectual property and copyright laws on the internet may not be clearly defined and easy to reinforce. However, the common etiquette for using copyrighted material on the internet is to ask for permission first, give credit where credit is due and link back to the author's original post. پندار نیک، گفتار نیک ، کردار نیک - Good thoughts, Good words, Good deeds. Heat 2 tablespoons of oil in a large saucepan over medium heat, add the chopped onion, saute until soft and light brown. Add the minced garlic and saute for another 2-3 minutes. Add turmeric, stir well. Add the chicken pieces, salt, pepper, cumin, cinnamon and crushed red pepper if you like, cook until the chicken is no longer pink. Add the chopped tomatoes and the tomato sauce, mix well. Add enough water to cover. Bring to a boil for a few minutes. Reduce heat, cover and cook on low heat for 45-50 minutes. In the meantime in a large frying pan saute the green beans lightly in 2 tablespoons of oil on medium heat. Add the beans to the pan, pour in the lime juice, add additional hot water if necessary, taste and adjust the seasoning. Cover and cook for another 15-20 minutes on low heat until the chicken pieces and green beans are tender, most water evaporated and the tomato sauce thickened. 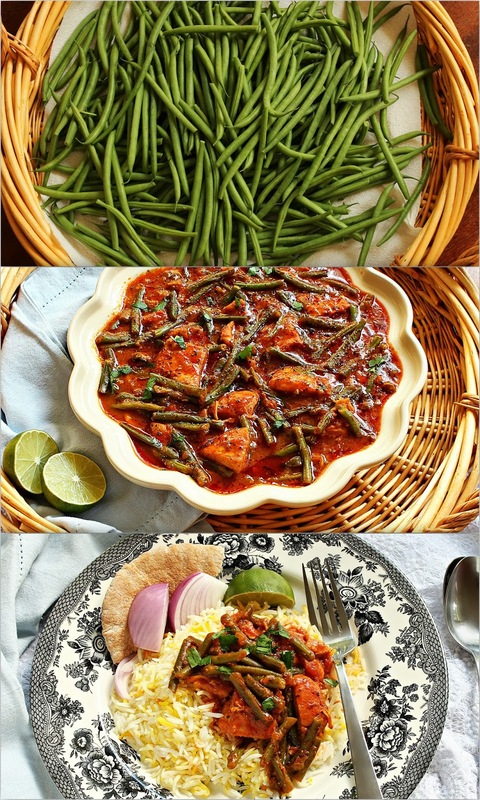 Serve hot with polow, mast o khiar, torshi and sabzi khordan.